Known as the "Pink City" due to its stunning terracotta architecture, Toulouse is the fourth largest city in France, and enjoys a warm climate all year around. 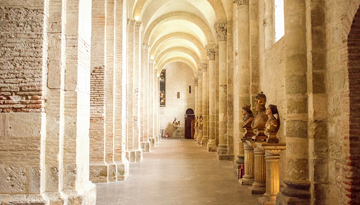 Situated on the banks of the River Garoone, the city is home to two UNESCO World Heritage Sites – the Canal Du Midi and the Basilica of St Sernin. Toulouse also has one of Europe's most vibrant arts scenes. The Academie des Jeux Floraux is widely believed to be the west's oldest literary societies, and Galarie du Chateau d'eau was the first photography museum in the world when it opened its doors. 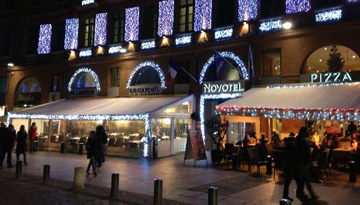 This being France, the cuisine on offer in the city's many restaurants is superb. A local gastronomic favourite is Saucisses de Toulouse, which is a type of curled sausage that is typically served with potatoes. If sport is your thing then you're in for a treat as the city's natives love few things more than a game of football or rugby. Stade Toulousain is the main rugby union team and you'll regularly see people walking around in their traditional black and red colours. If you prefer a game with a round ball, then check out Toulouse FC, who ply their trade in the top tier of French football. Flights to Toulouse with Ryanair in Economy Light fares from £10 return including taxes. This 4-star modern hotel offers a Turkish steam bath & also to discover the best of the local nightlife. 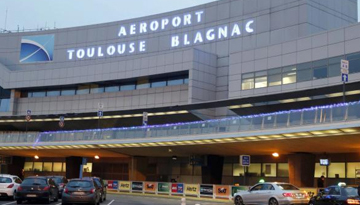 Fly from Gatwick - Toulouse & Stay for 7 nights with 3 star accommodation. Room Only.